As more people become concerned with the amount of garbage and waste spilling into the environment, they are turning to earth friendly, reusable water bottles. These come in a variety of types and materials and are budget friendly, too. There are several types of bottles that are safe to use. They vary in size, style, material, and price so there is sure to be one to fit every need. Aluminum is a lightweight material that is also recyclable. The lightweight aspect makes it a great choice for runners, bikers, and others who need to be able to hydrate on the go but don't want to carry a lot of extra weight. The problem with aluminum is that it can change the flavor of the items stored in it. To guard against this, some companies are lining the aluminum bottles with plastic. Some of this plastic may contain BPA. If you want to use aluminum check to ensure that the liner is BPA free. Unlined aluminum may carry its own risks; aluminum is associated with Alzheimer's disease. Sigg: These recycled aluminum bottles are lined with a secret coating that the company does not identify. The bottles are lightweight and trendy. There are two sizes and they also come in several colors. Glass water bottles are beautiful, and they have no health risks associated with them. Glass can be recycled, and it is easy to keep clean and bacteria free. Best of all, glass keeps the items stored in it tasting just the way they should. Glass is a poor choice for sports enthusiasts, however; they break and chip easily and can cause deep cuts and wounds. Takeya: Multiple sizes, shapes and colors of glass water bottles. The bottles themselves are encased in a silicone sleeve for easy grip and moderate protection. Life Factory: Several sizes of glass bottles with either standard or flip tops. Silicone sleeves encase the bottles in a variety of colors. Generally the best choice for a clean, durable water bottle is stainless steel. It is durable and somewhat lightweight. The stainless steel does not change the flavor of the drink inside it so needs no lining. Stainless steel water bottles are often the most expensive choice. Klean Kanteen: This is a BPA-free stainless steel bottle available in several sizes. The drinking cap is made out of a non-toxic polypropylene. 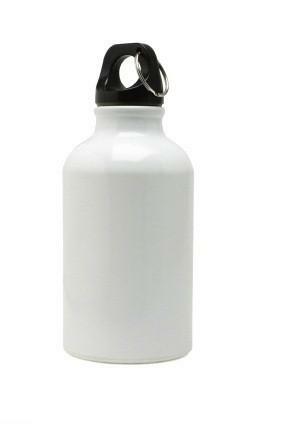 These sleek bottles come in a wide variety of colors, making them as attractive as they are useful. Eco-Usable: These unique, stainless steel bottles include a high quality filter that is capable of removing 99.9% of pollutants from your water. Each filter lasts through about 100 gallons of water. Reusable plastic water bottles are one of the least expensive and easily found choices. To be safe, always make sure you choose a plastic bottle that does not contain BPA. Plastic bottles come in a wide variety of sizes and durabilities. Some plastics may scratch over time, which can make them more difficult to clean, trapping bacteria. Camelbak: Several styles of plastic water bottles, including those with integral straws or squirt tops, are made by Camelbak. The bottles come in several colors, patterns, and styles as well. Bobble: Bobble makes plastic bottles that are free of BPA and other harmful chemicals. They include a filter that removes up to 99% of harmful chemicals, minerals and bacteria from any water. Like reusable grocery bags, earth friendly water bottles are a great way to preserve both the eco-system and your health. Pick up a reusable bottle in your choice of material and style and start sipping today.